If you are having trouble with your balance, or an injury has cost you the use of vital limbs pertaining to balance like the feet, then you should consider using a can until your faculties are restored. Anyone who is suffering from any condition that renders them unstable when they are ambulating could benefit from the use of a cane. Knowing how to use it the right way is mandatory. Read on for some tips on how to use a cane. Before you buy a new cane, inspect in closely. You are looking to make sure that the handle is sturdy and the rubber grips on the cane are properly adhered to the cane itself. 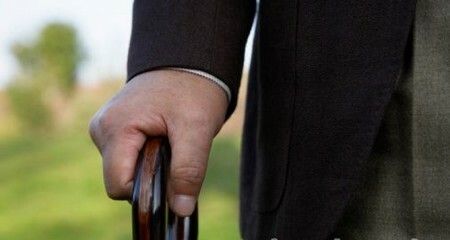 If you find any defect in your walking cane. Please return it back to the point of purchase. Make sure the can you are using is the correct height for you. The way to gauge it is to look at see if it extends more than six inches past the middle of your body when ambulating. The cane will also position your arm at a 45 degree angle. He cane must be able to hold your body weight. Holding your walking cane in the hand that is dominant for you (right side if you are right handed) will take the pressure off the injured side of the body and force the can to take the impact from walking and moving. When you are ambulating, there should not be any feelings of stretch and pulling. You want to walk with the cane no more than six inches in front of your body. Then step to make the can align with your foot. Make sure the cane is in the same position as your foot would be. The walking cane should be positioned straight at all times. Align it perpendicular with the ground. This will actually allow the cane to hold your body weight. Your grip should be firm and steady and not slippery. If you can’t hold on to a cane firmly, there are other transportation options for you. Ask your doctor for some help and advice on the matter. When you are ambulating take every precaution you need to in order to travel safely. Be cautious over places that can cause an unexpected slip like area rugs and things situation the floor. Cords, clothing and other things may be a hazard. Take your time mounting and going down stairs when you are first learning to use a walking cane. Be sure your weight is distributed evenly and take your time trying to get use to the new assistance.